Yesterday, The Elder Scrolls Blades went live in &ldquo;early access&rdquo; for all players across iOS and Android, and after the disaster that was Fallout 76 last year, Bethesda badly needs a win right about now. Blades is&hellip;probably not it. It&rsquo;s a somewhat competent Elder Scrolls experience on mobile, and there are a few things I really like about it. But Bethesda has not been able to resist the siren&rsquo;s call of ultra-mobile-style monetization to the point where it infects every aspect of the game and makes the entire experience about 10% as fun as it could be otherwise. I am very impressed with this game from a technical perspective. This looks great on my iPhone X and I haven&rsquo;t encountered any lag or a single crash as of yet. It&rsquo;s definitely at least Oblivion level graphics for the phone, and absolutely one of the better-looking games I&rsquo;ve seen on my phone in quite some time that wasn&rsquo;t embracing some specific animated art style. The controls are solid as well, and even though it seemed somewhat goofy that Todd Howard was making such a big deal about being able to play the game with one hand in portrait mode, this is actually one of the things I like about it the most. Being able to play the game using only one thumb to move, look around, block, attack, use skills, and spells are really nice, and though portrait mode restricts your view more than landscape (which you can switch to), it actually works pretty well all the same. I like the leveling and skill tree process of the game, which is sure, more shallow than real Elder Scrolls games, but not bad for a stripped-down version and I&rsquo;m enjoying building my character up. The &ldquo;story&rdquo; isn&rsquo;t deep, but it does exist, and the town building aspect is kind of neat so far if a bit superfluous. Rather than being an open world you simply load directly into dungeon missions. At first, they were all pretty samey, the same dungeon about 12 times over with slight tweaks, but now I&rsquo;m starting to see new types of areas open up, bandit camps, ancient ruins, and so on. There are some weird AI things like how you&rsquo;ll see undead skeletons roaming around the same room with bandits, the two not seeming to notice each other, only set on joining forces to kill you, but it&rsquo;s forgivable. What is not forgivable are the sheer amount of microtransactions Bethesda has jammed into Elder Scrolls Blades at every turn. I&rsquo;ll start with the worst offense, which is the chest system. Every mission will let you find a few chests in the level that are &ldquo;wooden&rdquo; rarity, open in five seconds and give you a few crafting materials. But most quests rewards Silver or TES Blades Gold rarity chests, which take 3 and 6 hours to open respectively unless you use premium currency gems to open them instantly (you can earn gems, but the rate is painfully low). This means that it takes forever to get anything resembling interesting loot, and I&rsquo;ve run into brick walls many times because the story missions get too hard because my gear is too low. And my gear is too low because it takes 6 hours to get my rewards from the last mission I ran. This has resulted in a situation wherein barely a day I have 3 gold chests and 13 silver chests waiting to be opened, and you can only do one at a time. If I time everything to the minute, that&rsquo;s 57 straight hours of chest opening to see what my actual rewards have been from these missions. That is&hellip;not at all fun, and counter to everything every RPG has ever taught us. You do the mission, you get the rewards. You don&rsquo;t set the game down for 6-50 hours then get the rewards. Or pay to get them immediately. 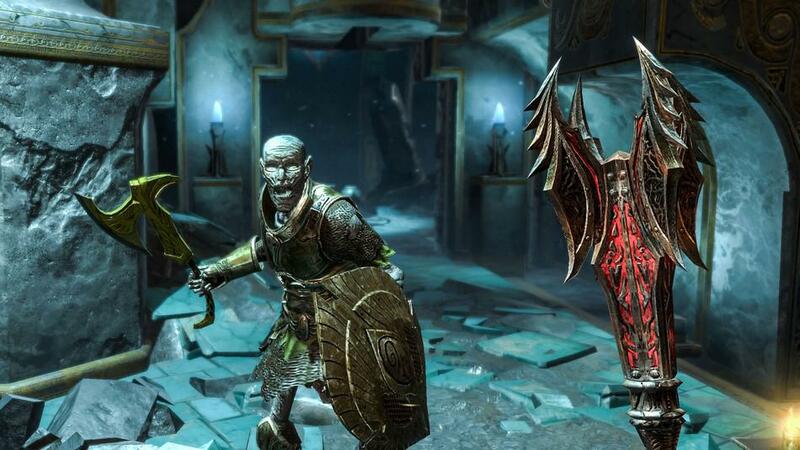 Past this, Elder Scrolls Blades is just&hellip;unabashedly pay to win. In every single way. You can flat-out just buy chests for $5, $10 and $30 for Gold, Epic and Legendary rarities. You can buy powerful items outright which will come up as special offers (a legendary sword that heals on hit was offered to me for $10 my first day). You can even pay to auto-complete some missions, instantly rewarding yourself with materials and gold for doing literally nothing but opening your wallet. You can pay to skip building timers in town. You can pay to craft faster. You can pay to expand your inventory and chest capacity (and you will have to, which is where 100% of my earned gems have gone). This is just absurd. I know that Bethesda is not the only company in this space monetizing games like this, but this is the kind of crazily aggressive monetization I&rsquo;d expect if there was a woman wearing a sheer sheet in the start-up screen beckoning me to &ldquo;come to play, my lord.&rdquo; This is monetized like you would imagine a no-name rip-off of Elder Scrolls would be, not Elder Scrolls itself. We have seen plenty of games find success on mobile without resorting to the worst monetization instincts of the market from Pokemon GO to Fortnite. 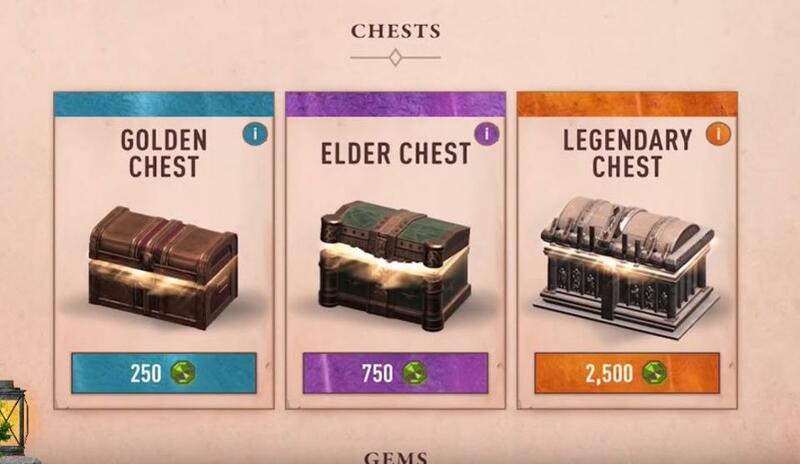 And yet Elder Scrolls Blades dives in headfirst, not just infecting its game with all the worst kinds of microtransactions, but building the entire game around them. I don&rsquo;t know how long I&rsquo;ll play this. This is the type of game where I&rsquo;ll give it a week, get frustrated by slow progress, drop $20 on a bunch of high-end crap and then quit out of shame. But by then Bethesda has already milked me and they don&rsquo;t care. Or I could just quit now because I know I&rsquo;m heading toward multi-day wait timers and even larger progress roadblocks since I&rsquo;ve been down this road before. This is not a mobile game designed for Elder Scrolls players. 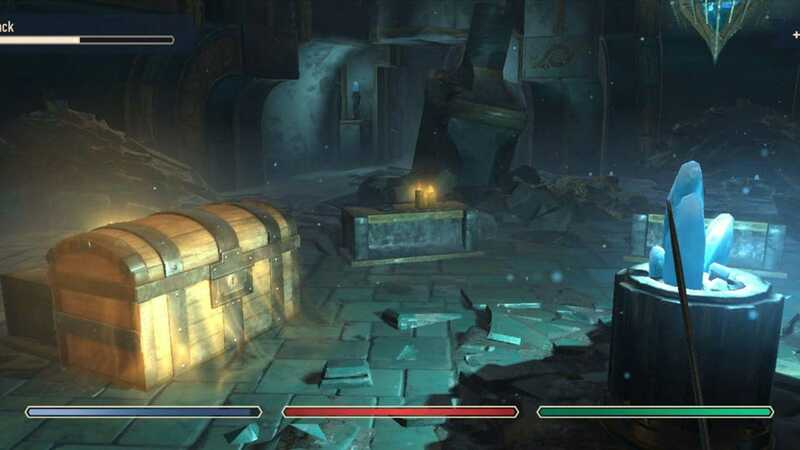 This is an Elder Scrolls game designed for mobile players, which is a big difference, and possibly an insurmountable one unless major changes are made.